mais pas encore chez Free qui finalisé sa négociation avec HTC France. 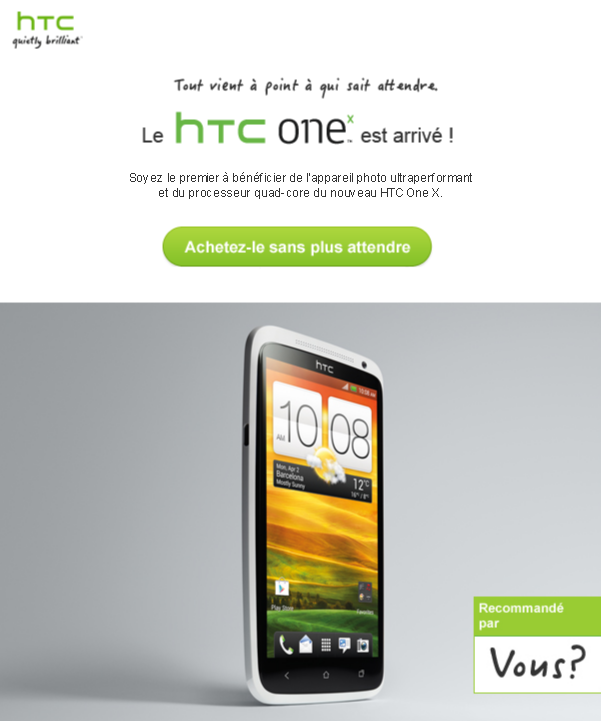 # Le 29 avril 2012 à 16:44, par kgwEOShLZpzcQyVYTj En réponse à : Le HTC One X est commercialisé en France ! I think the best android apicilatpon for your smart phone is any apicilatpon that you can think of that you can use and let some professionals make it for you. My recommendation is androidappdeveloper. its as easy as this, think of any apicilatpon that you want to be in your smart phone and let them make it for you. Now that would be the best android apicilatpon.